Ms. Luanne Lenberg serves as Penn-Florida’s Senior Vice President of Retail Properties. In this role, she develops and implements the retail components for several mixed-use projects currently under development, as well as in the existing commercial and multi-tenant properties in the Company’s portfolio. She focuses on the strategic development and merchandising plans for retail, restaurants, banks and services to enhance their retail presence and business objectives across Florida’s major markets. Her industry experience also includes previous roles in development, marketing, leasing and general management for commercial, mixed-use, lifestyle and luxury properties, as well as regional malls. 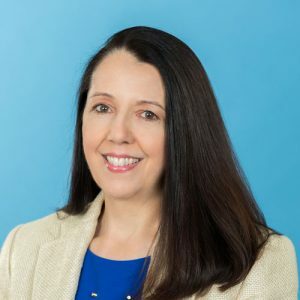 Prior to joining Penn-Florida, Ms. Lenberg served as Vice President & General Manager of Sawgrass Mills, The Colonnade Outlets and The Oasis in Sunrise, Florida and as Regional Vice President for The Mills Southeastern Region. Ms. Lenberg also spent several years overseeing Mizner Park, a notable and iconic mixed-use development in Boca Raton, as its Vice President & General Manager. Ms. Lenberg holds an MBA in International Business from Florida State University and an MBA Certification in Supply Chain Management from Nova Southeastern University. She served on the Board of Directors for the Florida Retail Federation from 1999-2011 and on Visit Florida’s Board of Directors from 2012-2016.